Calcium Magnesium Sulphate that we manufacture, export and supply is a kind of inorganic salt that contains a precise composition of magnesium, sulfur and oxygen. Calcium Magnesium Sulphate that we offer is free from impurities and widely used in beauty products. Our Calcium Magnesium Sulphate is carefully formulated at our unit under the most hygienic conditions. 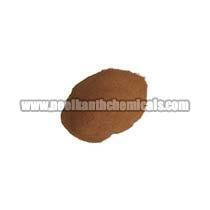 it is widely known for its accurate composition and low molecular weight.